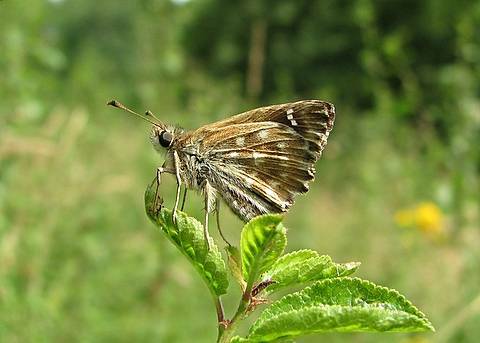 C.alceae is probably the most widespread and easiest to observe of all the local skippers even though it is not a very high density species. 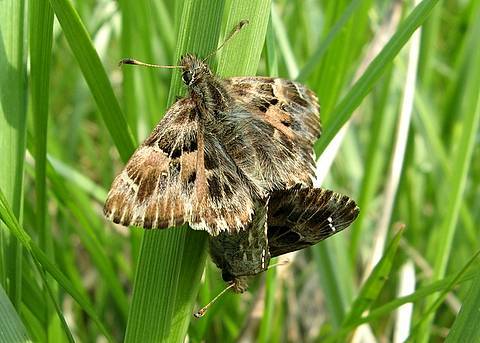 If disturbed, the male will buzz off swiftly but will return to the same or a nearby perch. 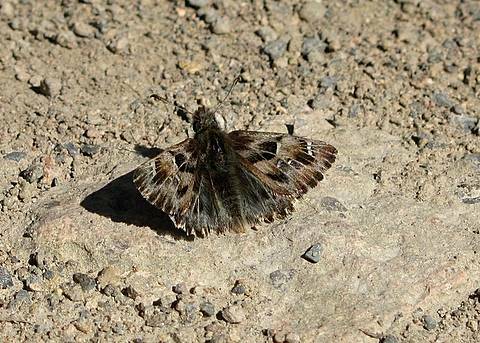 The upperside markings are quite a complicated mixture of black, browns and greys. 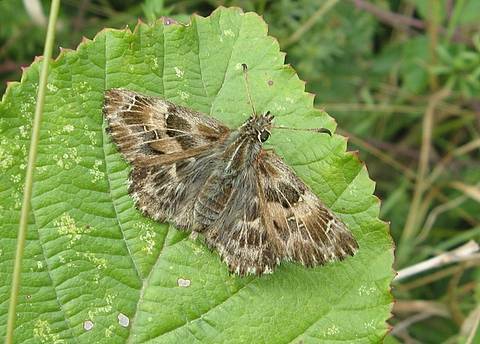 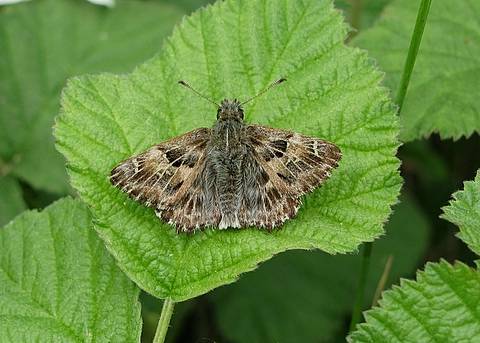 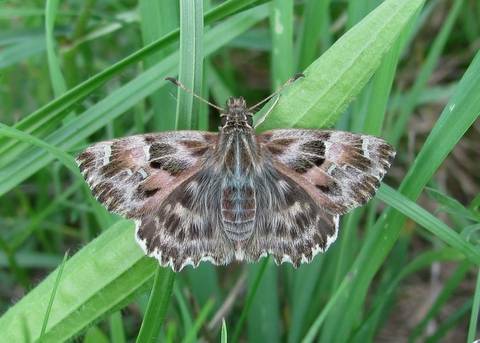 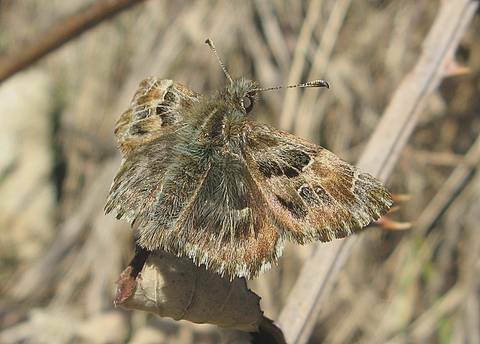 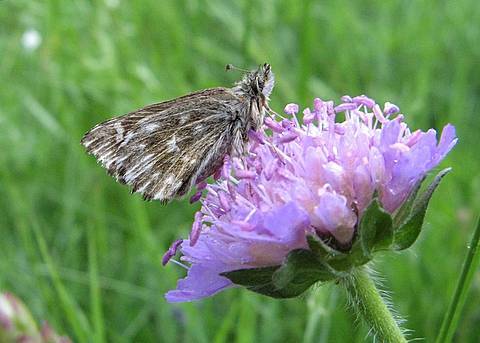 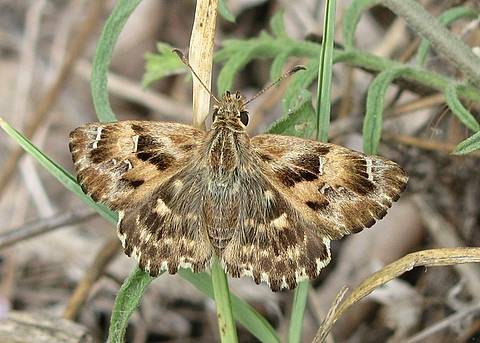 Occasionally there are quite pronounced whitish markings on the upperside of the hindwings, and the butterfly thus resembles other Carcharodus species more closely.